Mums are truly the best and as a family restaurant group, we know how important it is to show mum how much she is appreciated! So spoil her this Mother’s Day at a Nick’s venue where she can indulge in her favourite seafood or steak dish with a side of her favourite glass of wine or cocktail by the water! 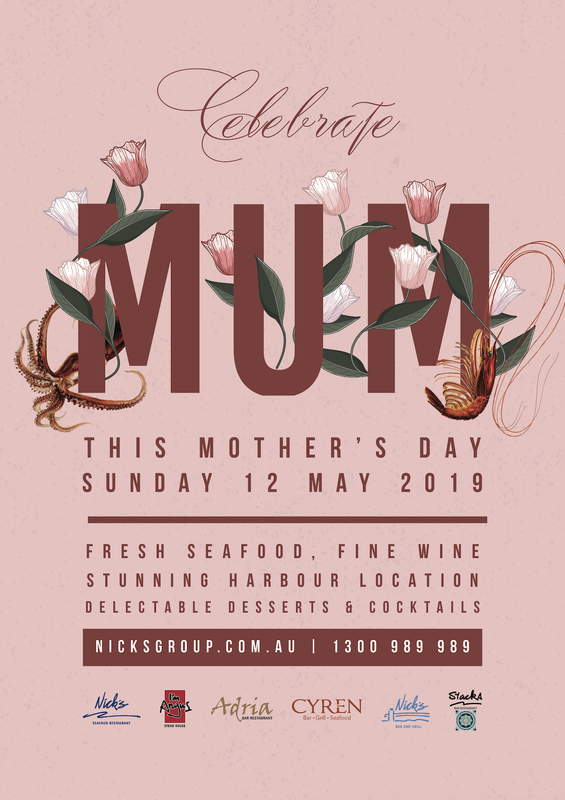 Or if you’re unsure what to buy as a gift, mum will love our dine and drink vouchers – redeemable 365 days a year at any one of our six stunning venues in Darling Harbour!